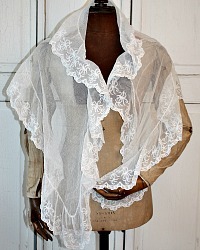 Antique Irish Limerick Needlelace Wedding Fichu, a glorious 19th century fashion accessory. 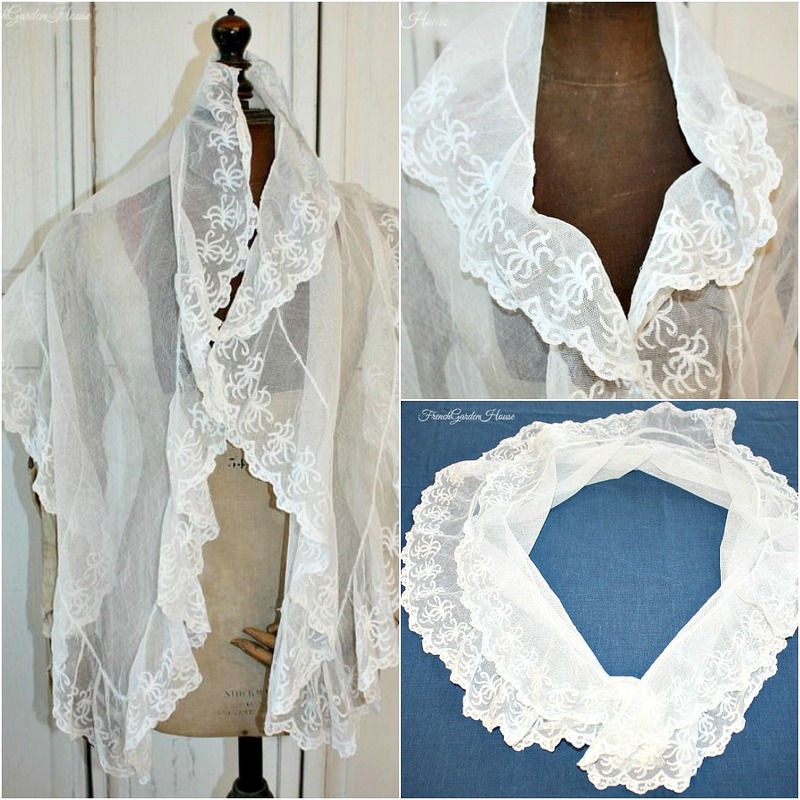 A fichu was an indespensable ladies costume accessory during the 1800's, draped like a ruffled scarf or collar around the neck, sometimes tucked into the top of a bodice, it added a touch of delicate lace and romantic femininity, and at times a small measure of modesty. 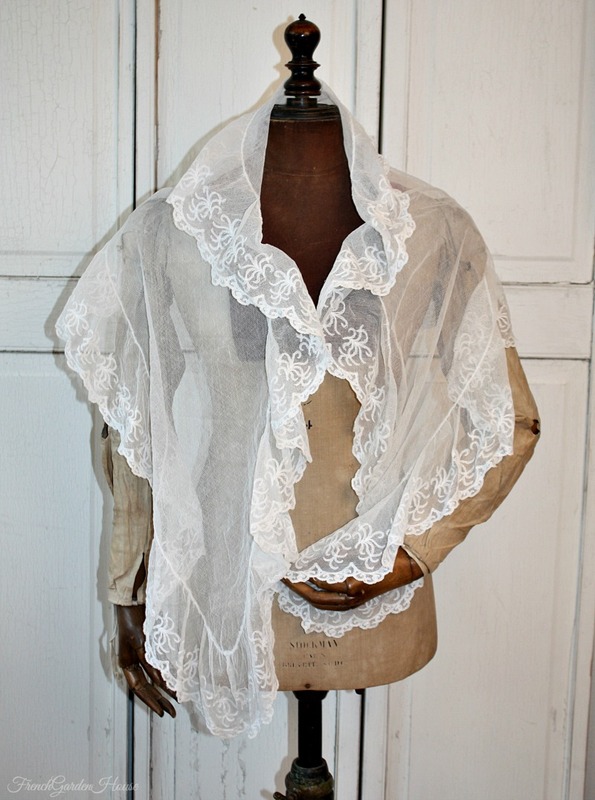 This beautiful fichu is hand embroidered Limerick Lace on silk machine net, the hand embroidered designs were stitched on the net to form the beautiful pattern, it is an aged white in color, but definitely not ivory or cream. An amazing piece of work in both form and execution! 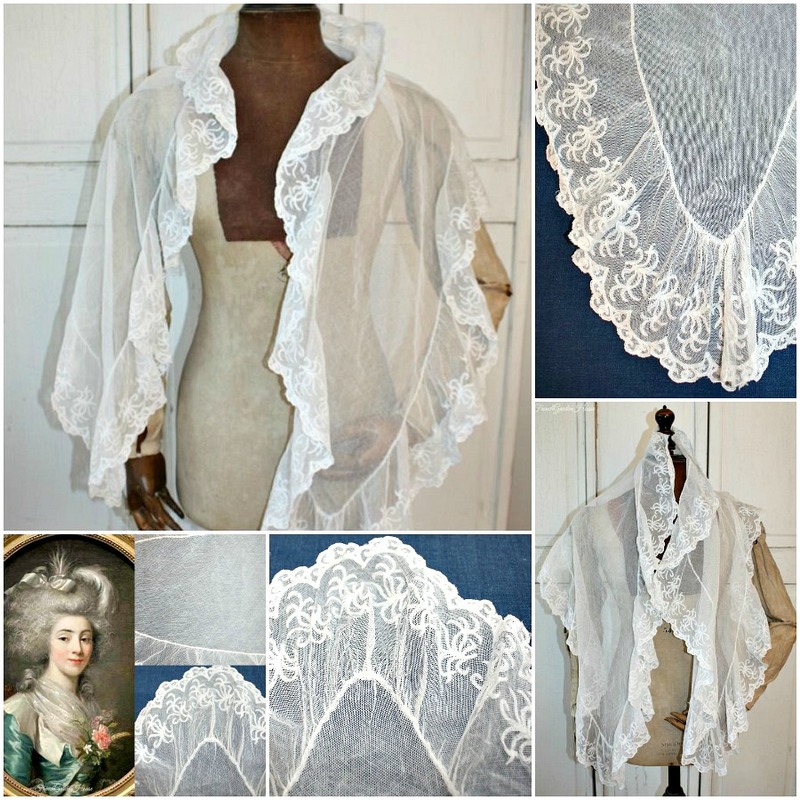 Delicate but not fragile, wearable, or show it off in a display, a stunning addition to your collection of heirloom lace. Beautiful antique condition, with just a few teeny tiny pinpricks in the net. This dates to the mid 1800's.